In times of natural disasters, floods and unexpected water outages, having a safe water supply for your family is crucial. Storage needs should be estimated at 1 gallon of water per person, per day. A normally active person needs to drink at least 2 quarts of water per day (more in warmer climates). Additional clean water is needed for food preparation. If you have been warned ahead of time, fill large pots and pans, sinks and bathtubs with water. Water can be stored for approximately six months. Plastic, glass, fiberglass or enamel-lined metal containers are suitable for storing water supplies. Never use a container that has held toxic (poisonous) substances, because tiny amounts may remain in the container’s pores. 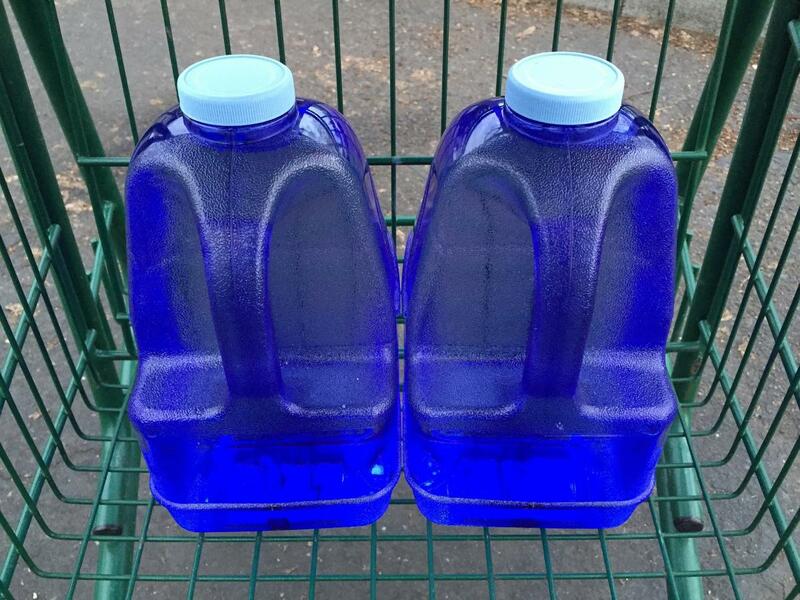 Intact, durable plastic containers—such as those you purchase water in—are best. You can also purchase larger food grade containers. Wash thoroughly, fill with water and secure the lid tightly. Store water in dark cool places. Be sure that lids do not contain paper components. Lids should be washed and rinsed thoroughly before capping the containers. Thoroughly wash the container and lid immediately before filling it with treated water (see below). To wash the container, use clean, hot water and detergent. Rinse well with hot water after washing. Containers can also be washed in the dishwasher using the sanitize cycle. A good way to store water is to put the containers in a freezer when you do not have a full load of frozen food. If the power is interrupted, the frozen bottles of water will help maintain the frozen food for a longer period of time. Leave 2 to 3 inches of air space in the top of containers before freezing, to keep the container from breaking as water expands during freezing. Plastic containers are preferred as some glass containers may break regardless of the air space provided. Before storing water, treat it with a preservative, such as chlorine bleach, to prevent the growth of microorganisms. 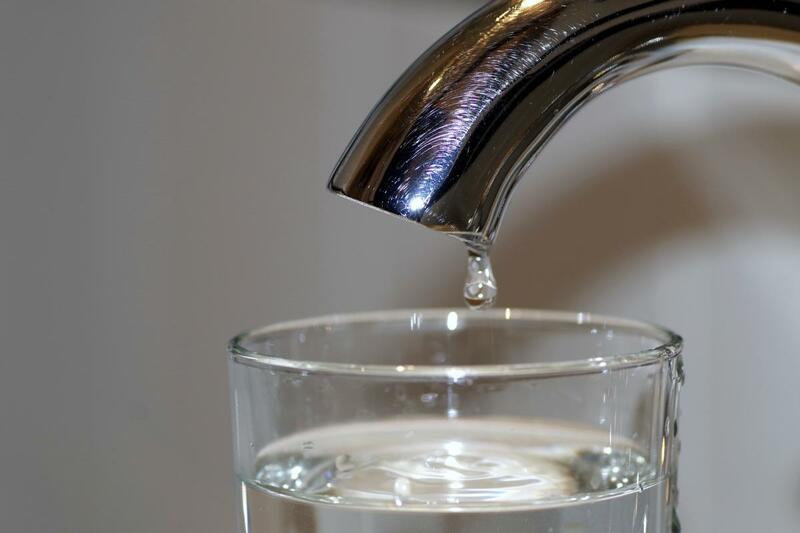 Contaminated water can contain microorganisms that cause diseases such as dysentery, cholera, typhoid and hepatitis. Purify all water of uncertain condition before using it for drinking, food preparation (including cleaning and cooking) or personal hygiene such as brushing your teeth. There are many ways to purify water. If the water looks cloudy, filter it before purifying. Allow the water to sit undisturbed so suspended particles can settle to the bottom. Then, filter the water through layers of clean paper or cotton towels, cheesecloth or even coffee filters. Once the water has been filtered, you can purify it. There are two common, easy purification methods for water to use. Boiling is the safest method of purifying water. Place the water in a clean saucepan or other cooking container. Bring the water to a rolling boil for 10 minutes to kill any disease-causing bacteria in the water. Let the water cool before drinking, keeping it covered during cooling. However, boiled water may taste “flat” when opened. Improve the flavor of boiled water by incorporating air into the water by shaking, or pouring it back and forth between two containers. Chlorination uses liquid household chlorine bleach to kill microorganisms. Add two drops of bleach per quart of water and up to four drops if the water is cloudy. Mix thoroughly and let stand for 30 minutes. Household bleach is a good purifier for water. However, check the label to be sure that the active ingredient, sodium hypochlorite, is 5.25%. Do not use bleach that contains detergents or fragrance. Mix bleach thoroughly into the water. Let it stand for 30 minutes. The water should have a slight chlorine odor. If it does not, repeat the dose and let the water stand for an additional 15 minutes. Use the chart below to determine how much chlorine bleach to use. Chlorination will not kill parasites such as Cryptosporidium or Giardia, which may be present in flood waters. Parasites can cause severe health problems, especially in people with existing illnesses or medical conditions. Boiling is the best choice of treatment for contamination with parasites. Another way to purify water, if you are preparing in case of an emergency, are purification tablets of chlorine or iodine. They are fairly inexpensive and available at most sporting goods stores and some drugstores. Follow the package directions. Double this amount if the water remains cloudy. Social media sites encourage the home canning of water for emergency use. Here is a way to put safe water in your pantry if you wish to home can your own. Boil the water for approximately 10 minutes. Let the water cool to 125 to 150 degrees Fahrenheit. Decant (pour off without disturbing the sediment) into another pan. Fill the jars to within 1/4-inch head space. Adjust the lids (lids should be prepared according to manufacturer’s directions). Process pints or quarts in a boiling water bath for 10 minutes. The water is boiled to precipitate the temporary hardness (calcium) out that would otherwise settle to the bottom, and to get rid of dissolved oxygen and many off-odors. Shake the jars well before drinking to enhance the flavor. Minerals settle to the bottom of the jar. 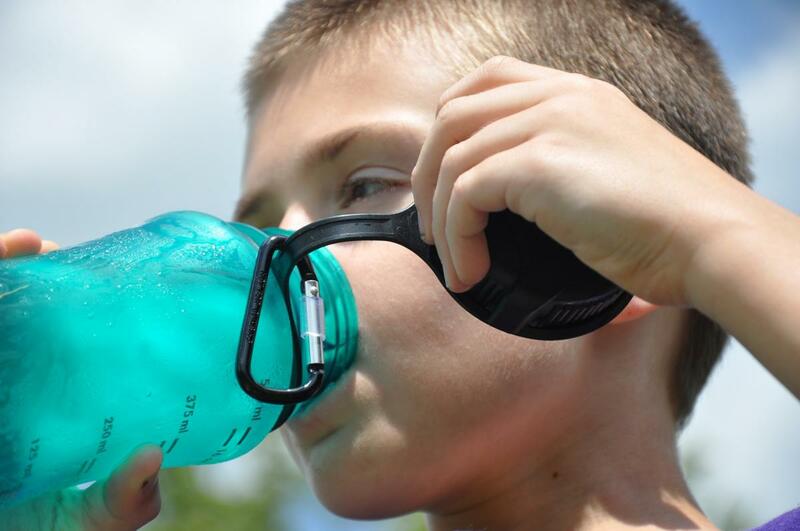 Shaking helps to re-distribute the minerals and puts some of the air back into the water so that it does not taste flat. If you live in an earthquake zone, place rubber bands around the jars after canning to prevent the jars from crashing into each other, should there be an earthquake. Every home should have a supply of water stored for at least three days of emergency use. Store 1 gallon per person per day, and 1 quart per small pet. The water should be either municipal or bottled water, because these sources are inspected and tested regularly for many different contaminants. The container used for storing water must be clean, and made for food and water use. Household bleach is the only disinfectant needed in the water for storage. Rotate or use the stored water supply every six months. Andress, E. and Harrison, J. Preparing an Emergency Food Supply. University of Georgia Cooperative Extension Family and Consumer Science fact sheet. Updated from Preserving Beverages: Water, Juice, and Milk, HYG-5354, 2009.